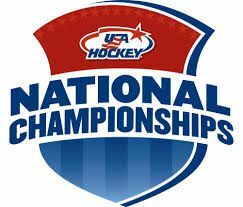 Saugus Lynnfield Youth Hockey is putting together a U14 National Bound team to enter into the Tier 2 National Bound tournament. If you are interested in playing on this team please register under our registration tab. You do not need to be from Saugus or Lynnfield to play on this team. All are welcome. Click the registration tab and then register for the squirt through bantam link. Fill in your information and pay the deposit. If you have already registered and attended our town bantam tryout and you are a 2005 or 2006 player you do not need to register again. Thursday April 18th at 7:10 pm. Congratulations to our Bantam AAA Team! They captured Saugus Lynnfield Youth Hockey's first State Championship this past year. Congratulations to all the players and coaches.